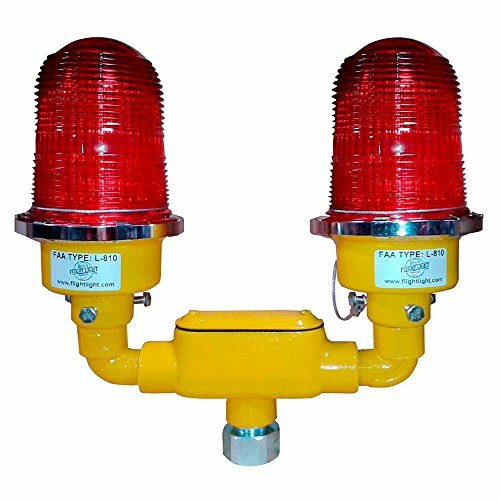 Flight Light L-810 obstruction lights are used on buildings, antennas, towers, cranes, and any other kind of obstacle which occupies airspace. Each fixture includes a glass Fresnel globe which is colored red for most applications. The fixtures are made with a 3/4" internally threaded housing. A side-mounted option is also available. These obstruction lights operate on a 120V circuit. The fixture is illuminated with a 116W, A21 medium screw base lamp.